Cross the new bog bridging, observe the beautiful wetland, and learn about the history of this property! Description: This 2-mile hike highlights the history of Bob’s Way, ranging from the late 18th century to today. 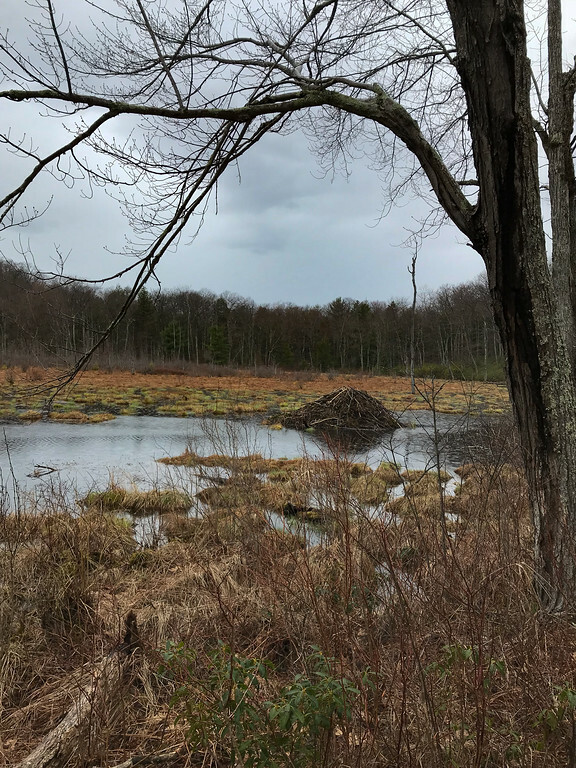 With its second-growth hardwood forest, stonewalls and foundations, wetlands, and old roads, Bob’s Way could be THE representative New England landscape. Please bring lunch/snack, water, and appropriate footwear. From Lee: From the Mass Pike/Big Y intersection, turn onto Tyringham/Main Road (opposite of Big Y) and continue 10 miles until you reach Route 23. Turn right onto Route 23 and follow for 1 mile before finding the parking on your left. If you reach Mt Hunger Road you have gone slightly too far. From Great Barrington: Follow Route 183 east out of town toward Monterey. After 7 miles continue straight onto Route 23. 2.5 miles after passing through the center of Monterey, and just after passing Mt Hunger Road, the parking will be on your right.